6 4 G Ltd opened it’s doors in 2014. Providing an holistic approach to credit risk management for businesses, especially those that do not have the human resource to handle this internally. Or, for businesses that prefer to outsource their back office. 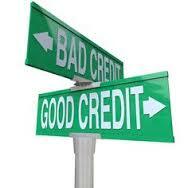 Trade credit insurance policy management-we do all the policy admin and ensure you are compliant. An holistic credit risk management approach to business. Call us on 01903 368080 for a chat or email enquiry@64gltd.com or contact us. Trader Watch. Our product designed to help consumers ensure they are not dealing with rogue traders, before parting with substantial amounts of hard earned cash. Click here to advise us about the business you want to check. Or call us on 01903 368080.